Facebook may be taking the saying, “if you can’t beat ‘em join ‘em”, to heart. At least they’re trying to. 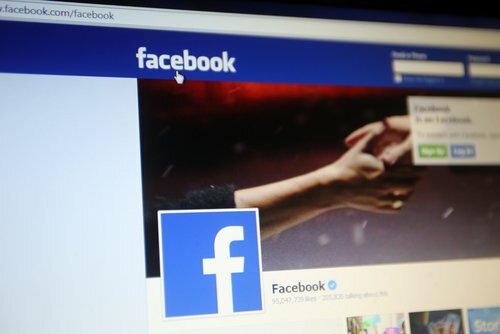 The social media giant is running a small test of feature that would let Facebook users create messages that disappear after a certain period of time. This feature would similar to the popular app SnapChat, which lets users send messages that can’t be saved. Right now, little is known officially about the test. According a spokesperson for Facebook cited by CNN, the company is conducting a small pilot on iOS devices. The test also appears to be international in scope. Facebook users in America, England, and New Zealand have reported seeing the options on their phones. According to the images from people who have the feature on the phone, testers have the ability to choose how long the post will remain. There are seven options, ranging from just an hour to seven days at the longest. The feature is the latest in a series of attempts by Facebook to steal some SnapChat’s thunder. In 2012, they introduced the Poke app, which was shut down when it failed to catch on and the still active, but underused SlingShot app, which requires to uses to send a message before the message becomes viewable. It’s as strange as it sounds. The allure of a less permanent presence online may be growing among Americans. Revelations about the NSA have shown that the data trail we leave behind can be easily picked up and analyzed by government agencies. And just a couple of weeks ago, hackers managed to get private photos from the iCloud accounts of several celebrities. Under these conditions, a self-deleting message on Facebook sounds more and more appealing. It’s also wise for Facebook to follow the example of SnapChat. At a time when Facebook is losing importance among teens, 71 percent of SnapChat’s 100 million users are under the age of 25. And SnapChat has only been around since 2011. Clearly, SnapChat has found a way of operating that appeals to a younger demographic. It should be noted that while the ideas of disappearing content is associated with SnapChat, Facebook will be implementing it in an entirely different way. The most obvious difference comes from the duration of the message. SnapChat messages disappear seconds after their read. Even at its fastest, Facebook would let messages remain for one hour before they expire. Also, SnapChat messages are only visible by the recipient. From the early tests of the Facebook system, the posts would be viewable to anyone under the users usual privacy guidelines and the expiration would be determined from the time the post was created, not when someone views it. In this way, disappearing posts would serve a different purpose on Facebook than the disappearing messages on SnapChat. SnapChat is mostly about privacy. The disappearing posts on Facebook serve more as a way to automatically reduce the size of the digital trail we all leave. However, since the posts are still as publicly accessible as they were before, this does little to enhance privacy. The feature could even come in handy for marketers. They can set posts to expire immediately after they become outdated. So if a nonprofits posts about a need for volunteers, they can schedule it turn off after a couple of hours so they don’t get requests past the deadline. Regardless of the outcome, Facebook’s test of a SnapChat-like feature shows the company is committed to continually improving its services and adapting to a changing market and demographic. A recent consumer survey ranked Facebook poorly for customer satisfaction, this new feature may be a step in the right direction if the company rolls it out to all users.